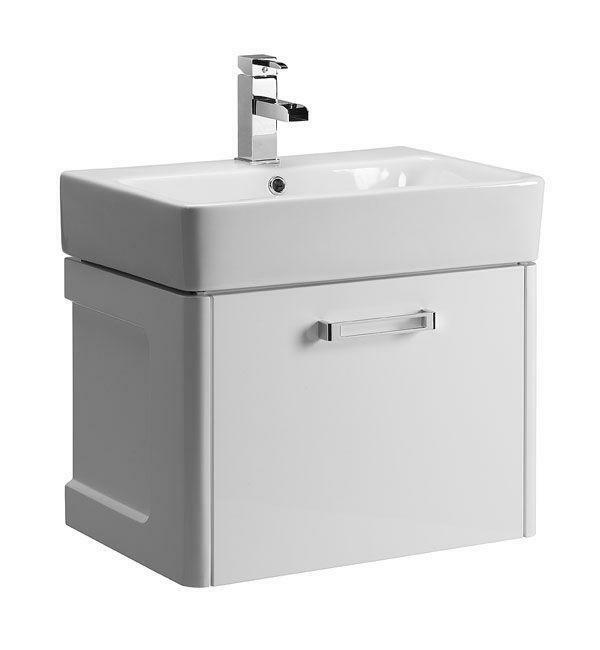 Turn your bathroom or cloakroom into a stylish space, with Q60 Vanity Unit and Ceramic Basin. Finished in white, both the vanity unit and the basin, makes any bathroom attractively practical. The vanity unit features a single drawer and considerable storage space, which is a need for every compact bathroom or cloakroom. The basin coupled with this vanity unit, give a feel of made for each other with perfectly balanced beauty. Tap and wast are not included.